"All-Day Breakfast and Great Comfort Food at Affordable Prices"
DELIVERY AVAILABLE Minimum order of $50.00 and within a 5 mile radius. Call 608-223-0886 to place order. For over 20 years Nick and Nancy along with the help of their children have been providing great food to Monona, Madison and surrounding areas in Dane County, Wisconsin. Since they first opened their doors in 1990, they have always provided fresh homemade items at an affordable cost. The service is great and the welcoming atmosphere will have you coming back again and again. You can enjoy there huge menu at breakfast, lunch or dinner. Whether you are getting a quick bite for lunch or taking the family out for dinner. Make Green Forest your #1 choice. 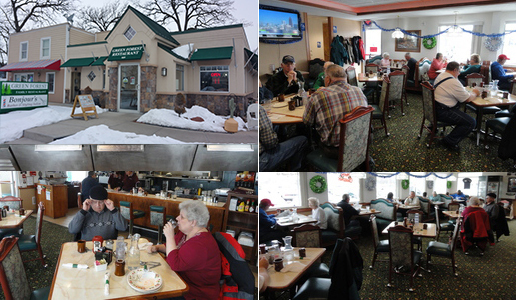 Conveniently located at 909 E Broadway in Monona, Wisconsin between Edna Taylor Parkway and Copps Ave. (approximately half way between Monona Drive and US Route 51 (S. Stoughton Road), Green Forest Family Restaurant might strike you as having been around a very long time. The building that Green Forest Family Restaurant currently occupies used to house a series of eating establishments in a truck-stop type of setting; you may remember such names as David’s, Noble’s Supper Club, and Water Tower Pub. 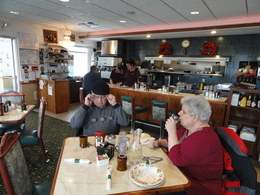 HOWEVER, just before Green Forest Family Restaurant moved in from a nearby location, they nearly tore down and rebuilt the restaurant into a spacious, bright and clean diner atmosphere where you can barely recognize the place. The server staff at Green Forest Family Restaurantawaits to greet you with a smile, warmly welcome you and efficiently serve you. Your order will arrive fresh and hot and your coffee cup will also be filled often. Offering generous portions at a great value, our menu has breakfast (served all day), lunch or dinner options, including a seniorsmenu. 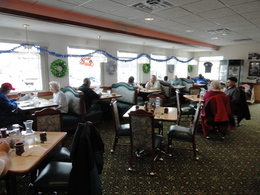 Always quick to spot a good bargain, you will find seniors frequent the Green Forest Family Restaurant, but you will also find people of all ages enjoying breakfast, lunch and dinner comfort foods. You will find us to be a bustling place to be on weekends due to our great values, great food, and convenient southeast side convenient location. Green Forest Family Restaurant have a wide variety of delicious, juicy steaks, burgers, and seafood, including many favorite pasta entrees, to satisfy your palate. Breakfast items are served any day and time. Green Forest Family Restaurant also has a relaxing, friendly atmosphere in our lounge, where you can wait for your table or come socialize with family, friends and co-workers. DELIVERY AVAILABLE- Minimum of 5 items. Call608-223-0886 Now. Richard M (1/26/2007) - Great food at a good price: The food and service is consistantly very good. I've been eating breakfast and dinner at the Green Forest for years. I would highly recommend it. Nancy (12/29/2007) - All the food seems homemade, it's so good! Their prices are very reasonable. Anonymous (9/21/2008) - Great family style restaurant with an excellent menu for all. Don’t just take our word for it or those of the above reviewers. 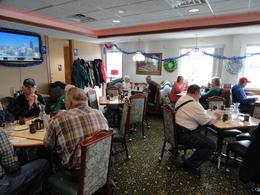 We invite you to come try out one of the Madison area’s Best Diners!! Come try us out!! We are Family owned and operated since 1989, we aim to please and highly doubt you will find a much better experience than here at Green Forest Family Restaurant. 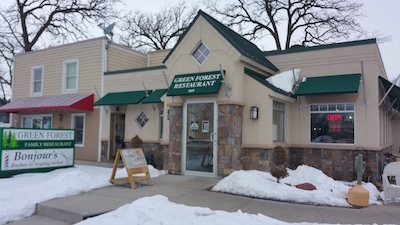 DeForest, Cambridge, Windsor, Middleton, Waunakee, enjoy dining at Green Forest Family Restaurant/Dining. Product Developers/ Internet Marketer make more sales when they can easily display their products with the buy links in the perfect location. Figero theme with good design principal boosts your sales figure. Works as a great Landing Page as well. You can easily setup individual pages for different products with different Paypal Links. So, you can develop a website where you can enable single/multiusers to sell different products at same place without any hassles. No more messing around with theme files or hunting for the right plugin to place your Paypal code or adjust theme settings. Figero Themes admin panel makes everything so easier and simpler like never before. ActThemes is optimized to load super fast, helping to reduce visitor bounce rates. With site load time now being used as a ranking factor, you'll never have to worry about your site getting hit with a Google performance penalty. Minimum order of 5 items Call 608-223-0886 to place order.